Online video site Vimeo has announced that it is set to offer its contributors new ways to make money. 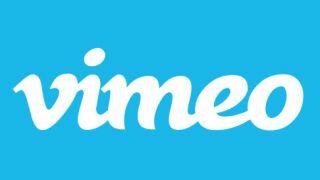 Given that Vimeo has 75 million users, it is looking to capitalise on the good faith of those who watch the oodles of video content with the launch of two new money-making schemes. The first is a Tip Jar initiative, where video viewers can show their love by contributing a bit of cash to the filmmaker. The second is a pay-per-view scheme. Unlike Tip Jar, this one doesn't roll out today but it is set to appear "over the next few months". Generally, web users frown upon pay-walled content but Vimeo is hoping that those who have a passion about a particular filmmaker on the site will be willing to pay for premium content. The pay-to-view service lets videomakers control pricing, local distribution and other settings like how long each video is available for. Speaking to TechRadar about the new payment schemes, Jordan McGarry, senior curator at Vimeo said: "Our users have requested monetisation tools for a while. "However, we wanted to provide them with the right features that can help them earn revenue at varying audience sizes. "We have taken the time to create a flexible solution by offering two approaches (Tip Jar and pay-to-view) so that it is something established creators and emerging talent can both find useful."